In 1979, Andrew Young, Carter's ambassador to UN at the time of the Islamic revolution in Iran, described Khomeini as a “saint”. Carter's ambassador in Iran, William Sullivan, referred to Khomeini as "Iran's Mehatma Gandhi". Carter's national security adviser, Brezhinsky, thought “we can get along with Khomeini”. When three US newspapers actually bothered to read Khomeini's writings and published accounts of Khomeini's reactionary and anti-Western views, Henry Precht, the Head of US State Department's Iran Desk during Carter's administration, attacked the three US newspapers by saying they were "severely misleading and scaremongering" and likened the newspaper articles that revealed the true nature of Khomeini, as “at best a collection of school student notes and at worst a forgery”. Well now with hindsight we know who was a forgery and who was a school student! But the naivety and childishness of these Western politicians continues to this day. Jack Straw's "scientific observation" in the Independent after his short trip to Iran, is nothing short of the foolishness of the Carter administration officials in 1979 resurrected. Jack Straw and his British companions on their trip to Iran, were wined and dined by the Islamic Republic establishment and were shown what the regime wanted them to see - bit like North Korea hosting tourists there. Straw's entire delegation had other agendas, other than carrying out a "scientific observation" from the onset of the trip. Lord LaMont, with his lucrative business dealings with Iran as a director of the Bali Group plc and Jeremey Corbyn, probably the most leftwing member of the Labour Party with his regular column in the Morning Star, had their business and political agendas to satisfy for the main objective of their trip. 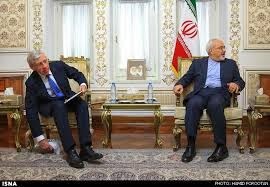 Unlike the European delegation of MPs who went to Iran before Straw's trip and met with Iranian dissidents; Straw's delegation had no such courage. They were happy to carry out their "scientific observation" by meeting just one side and not scratching too deep below the surface. The fundamental cause of people like Straw and the Carter administration making such comical and tragical misjudgements is that their criteria for evaluating Islamic Republic officials is not examining their track records and deeds or read their writings, just nice smiles and nice words suffice. bBrilliant piece of writing, Potkin jaan. Brilliant piece of writing, Potkin jaan.